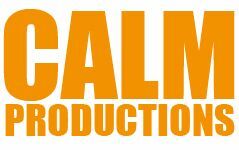 Includes FREE DVD with each book. 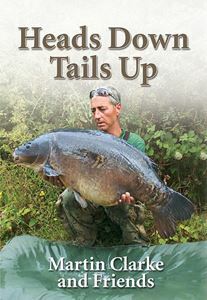 For anyone involved in carp fishing in the 1980s and '90s, the name Ritchie McDonald needs no introduction. He was one of the biggest names in the sport, with a personality to match, and an inspiration to a generation of young carp anglers. So how did the man famous for his adventures at Redmire Pool, Ashlea, Savay, Yateley and his pioneering trip to Cassien disappear almost overnight? How could someone catch the biggest living carp in the UK and tour the country with a legendary slide show, only to vanish without trace? Now Ritchie is stepping back into the limelight to answer these questions and more, with a new tell-all book and slide show presentation that will put the record straight. Twenty-five years on from the publication of Ritchie on Carp, his highly regarded first book, comes Ritchie on Carp - The Whole Story. 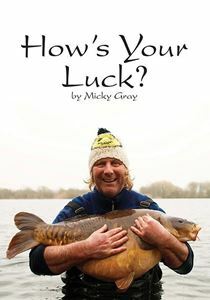 In it he describes his entire fishing career, from his first reluctant trip, to the present day, and his turbulent time away from the bank that came close to claiming his life. 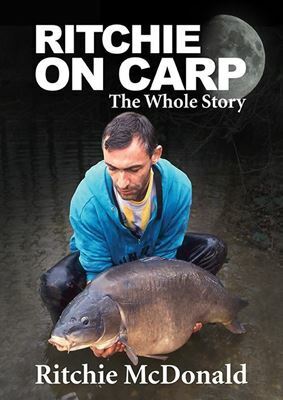 Free inside every copy of the book will be a DVD showing Ritchie in action on the bank with the famous Yateley North Lake fish at 45lb 12oz, later named Bazil, and an audio recording of one of his raucous, stand-up slide shows from the still-talked-about Cassien tour. Don't miss this milestone in carp fishing history!